Ancient Uzhgorod is often called the “window to Europe.” It is little wonder, as it is situated in the heart of Zakarpattia – at the bottom of the majestic Carpathian Mountains and close to the border with Slovakia. 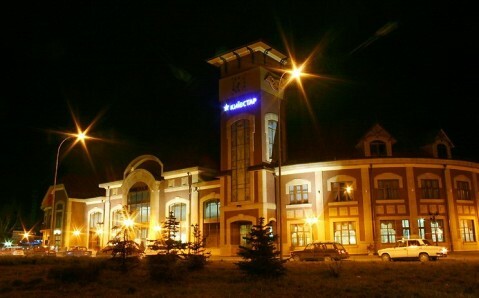 Its unique location and multicultural influence have made it one of the most attractive places in western Ukraine. Here, the eclectic architecture of the Austro-Hungarian period is interwoven with buildings of Czechoslovakian constructivist and Soviet modernist styles, next to which blossom splendid Japanese cherry trees and magnolias. The mountain river Uzh gave the city its name (until the 19th century it was known by the name Ungvar, which in Hungarian means the "castle on Uzh River"), and it divides the city into two parts: the right and left banks. On the right bank stands the old city, which attracts the tourists with a collection of interesting historic and architectural monuments. Uzhgorod appeared on the hills near the Carpathians over a thousand years ago, with the construction of a citadel, which became the residence of Old Russian prince Laborets, as Zakarpattia was at that time a part of Kyivan Rus. Over time, the castle grew and turned into flourishing city, soon becoming a part of Hungarian kingdom. The following four centuries it was developed by Italian aristocrats, the Drugeths counts. It was precisely during their reign that the castle got its current appearance. Since the 17th century, the expanding city played the role of the eastern gate of the Hapsburg Empire. The Austrian reign gave Uzhgorod many architectural masterpieces, but the city’s biggest draw is still the ancient Citadel. It is one of the best-preserved fortifications in Ukraine. The citadel is constructed as trapezium (trapezoid), with impregnable 15 meter-high (50 feet) bastions. Its main compound is a three-story Renaissance building with four corner towers. A prison and a torture chamber used to occupy its dungeon. Today, the Local History Museum can be found in the Uzhgorod castle, along with a tasting room for the famous Zakarpattia wines. Not far from the castle there is another unique landmark, the Trans-Carpathian Museum of Folk Architecture and Heritage. Original wooden buildings still stand here, representing the ethnic traditions of different nations that inhabited Zakarpattia. Among them, you will find tidy Guzul houses, a school, a windmill, and a watermill, and – the main treasure of the museum – St. Michael's wooden church from the 18th century, with its uncanny architecture. 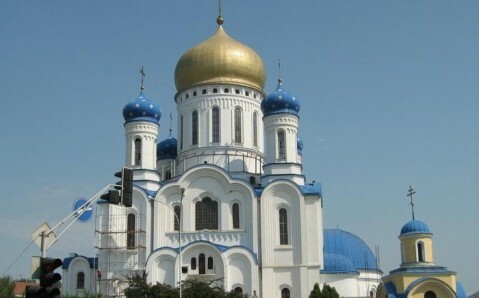 Among the most captivating sacral buildings in Uzhgorod are the Holy Cross Cathedral and the elegant Roman Catholic Church of St. George, which was built on the ruins of a Lutheran church. 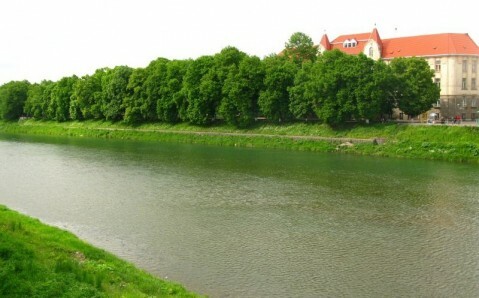 Uzhgorod is known as one of the greenest cities in Ukraine. In spring and summer, it is smothered by the lush greenery of numerous public gardens and exotic parks. You can also find the longest in Europe Linden Tree Alley, stretched out on both embankments. Several pedestrian areas were created in the city so that tourists could peacefully admire its delicate architecture. The comfortable and subdued atmosphere invite leisurely strolls around the city’s historic center. And, of course, you can always take a break from the sights in one of the city’s amazing cafes that serve Zakarpattia’s famous coffee. 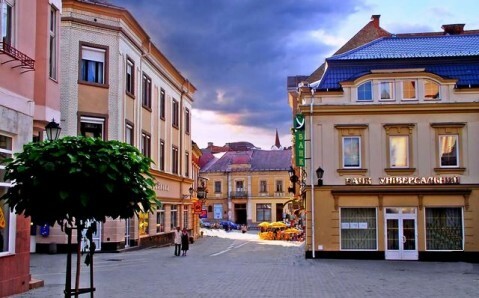 Many visitors confess that the coffee’s taste, along with Uzhgorod’s unique sights landmarks, can become one of their brightest recollections of the city. 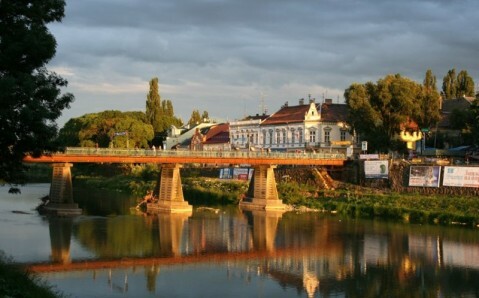 Uzhhorod is a typical border town – buzzing, full of energy, and often quite brusque. However, it is quite pretty, particularly the old town centre and tree-lined river embankments.